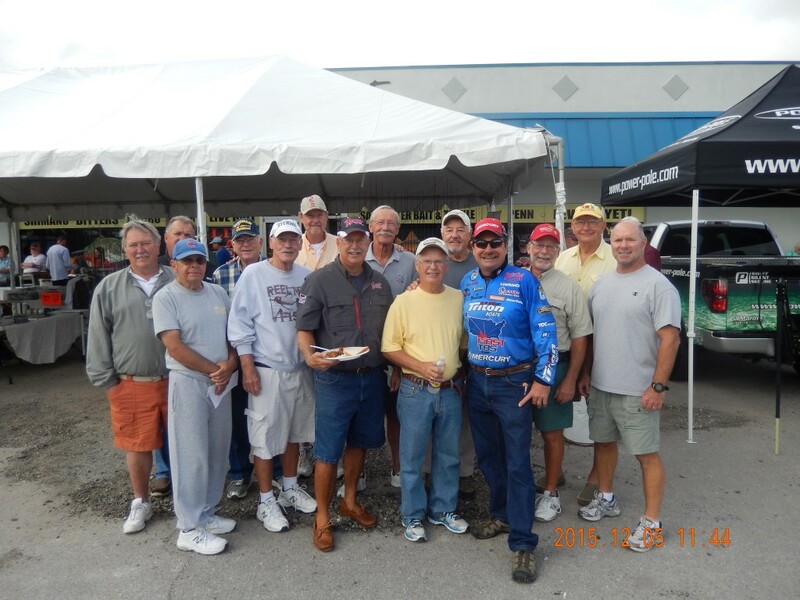 2015 started off with Jeff Miller from Miller’s Boating Center in Ocala enlightening the membership on the necessities of boat ownership. 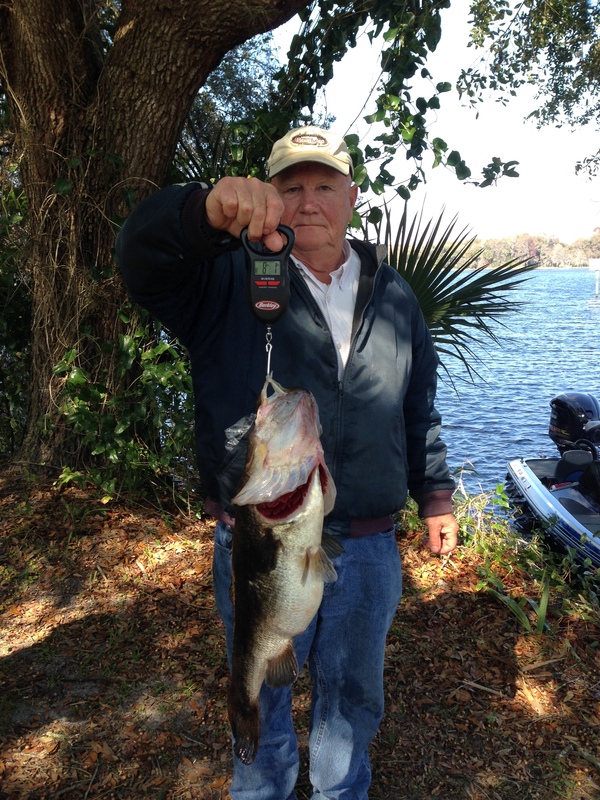 Feb: It pays to register for Trophy Catch as Ray Sutherland shows off his qualifier weighing 8.1 lbs that he caught on Tsala Apopka Chain. 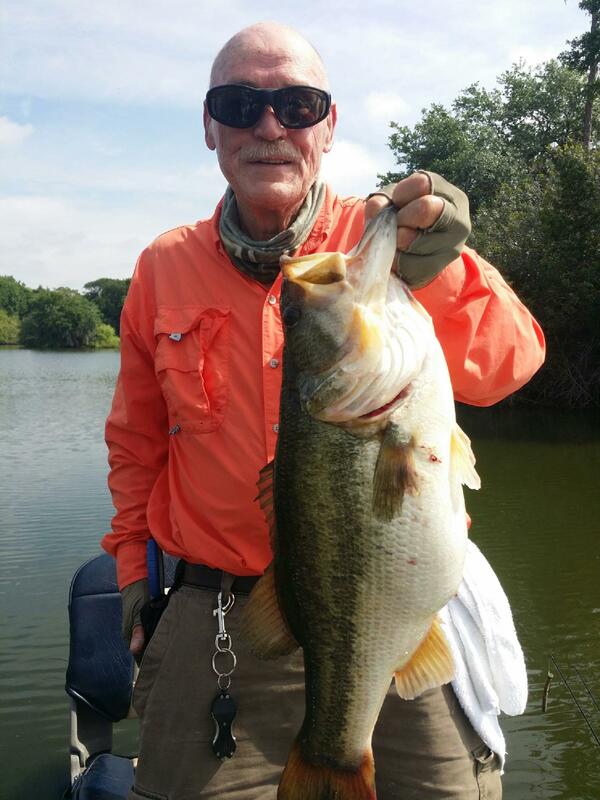 Here’s Phil McNeal holding a 5.13 lbr that got him nothing more than an honorable mention. 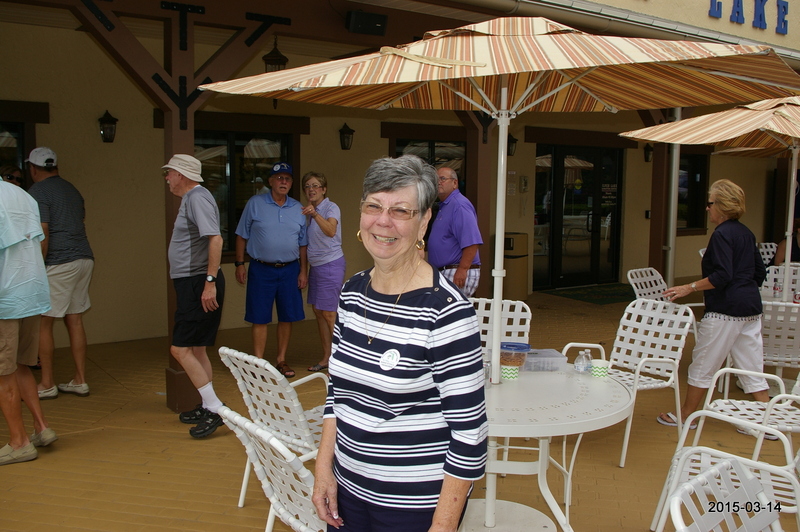 In March The Villages Outdoor Expo had thousands attend. 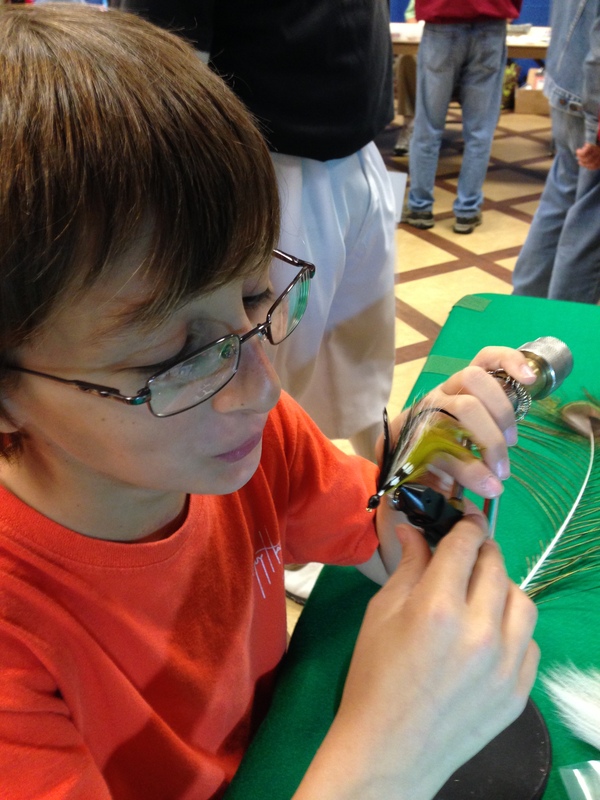 Below is Troy tying flies. I think he was 10 years old. 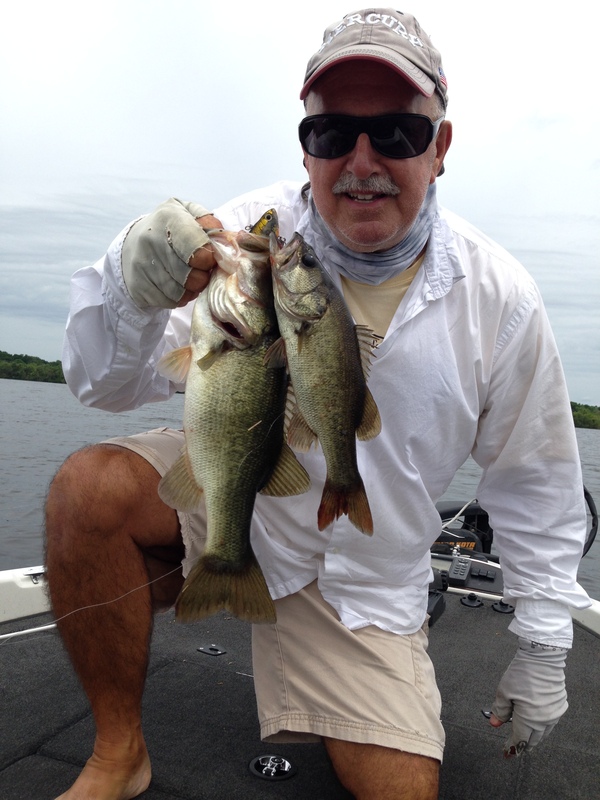 Pictured right is a bass that ate a fluke on Lake Rousseau. 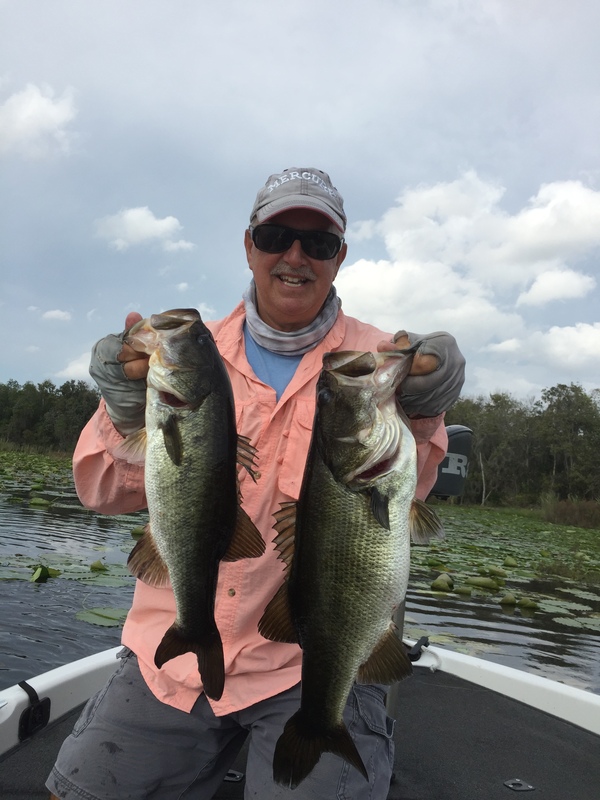 Caught 8 that day fishing a tournament & didn’t ca$h a check. 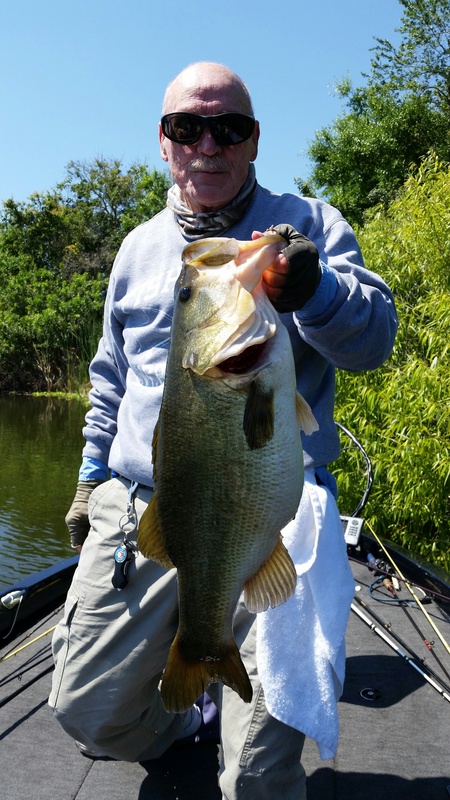 April – Wayne Barksdale nails some huge fish from a central FL hole and makes us all drool. Then he follows up with another a few days later. 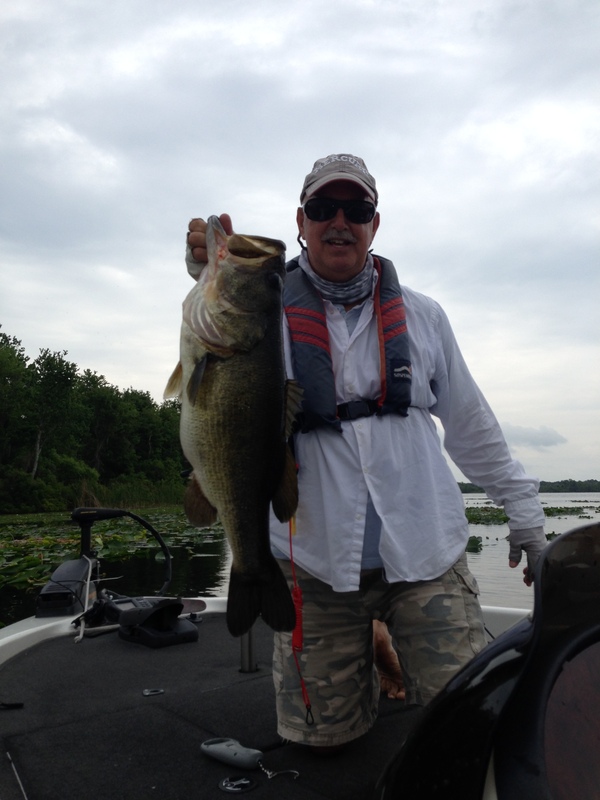 Wayne Barksdale Catches 2nd over 10 lbs in 6 days. 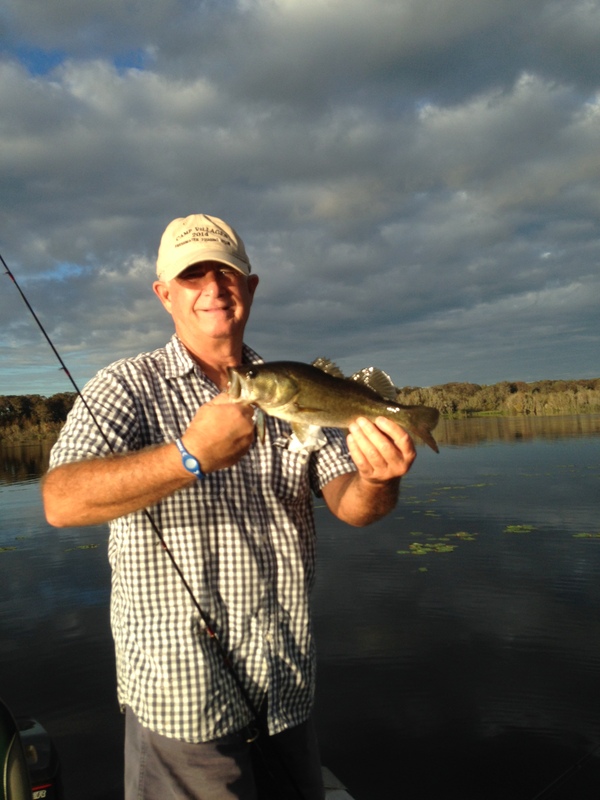 My only Trophy Catch fish of the year from Griffin. Then I catch 2 at a time. Not big but still fun. 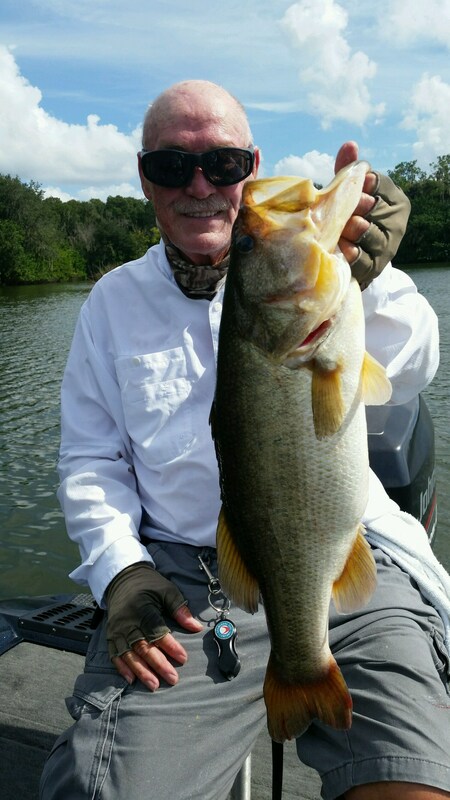 May – Angler John Hendry nails a 10.11 lbr while prefishing Lake Istokpoga. 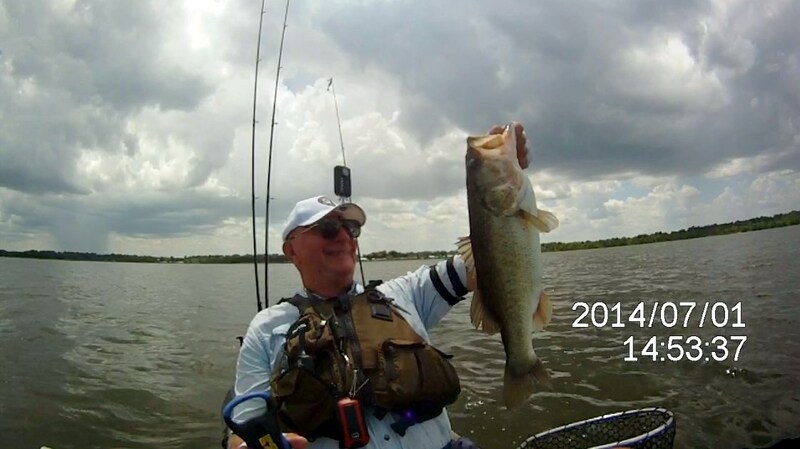 As fate would have it Johns fish was no where around during the tournament. 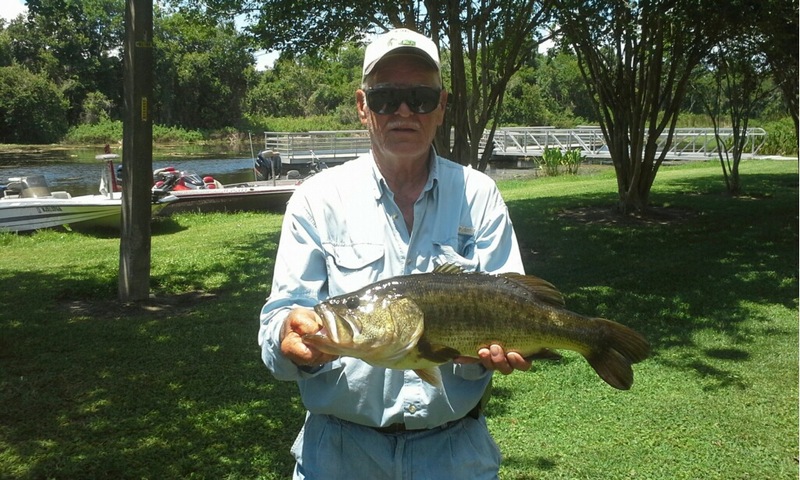 Mike Tacak caught this 7.4 lb bass that awarded him the Big Bass pot while fishing a club tournament on Griffin. 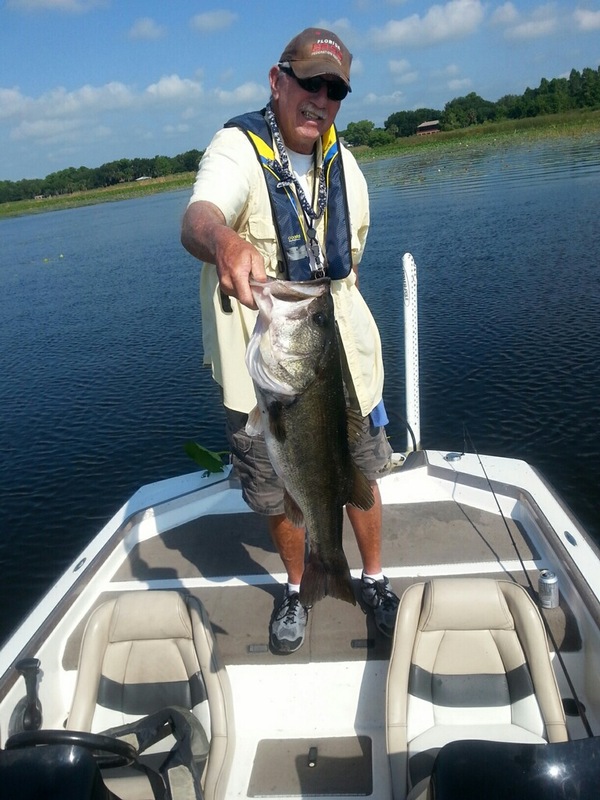 Wayne Barksdale is in your face again with another Trophy Catch qualifier that weighed 8.10 lbs. 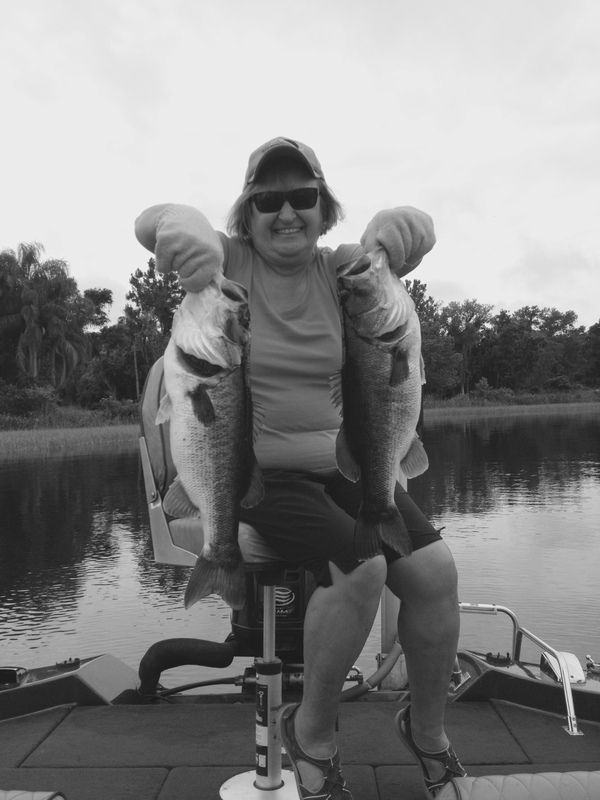 June – With a heavy heart we announced the passing of our beloved Treasurer Marge Echols. We miss you Marge. 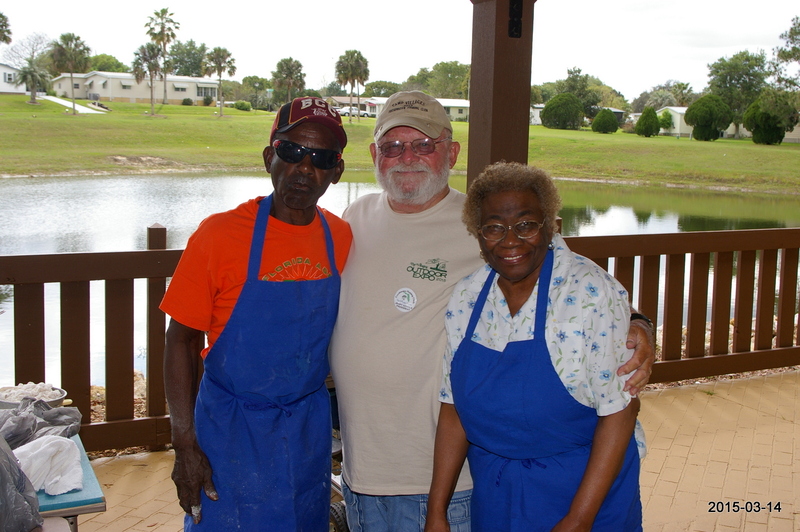 Jerry Echols, Club Pres and regular cooks, Robert Edmonson and wife, Darlene. The best fish fry ever conducted by 3 of the best. Many of us enjoyed these functions immensely. 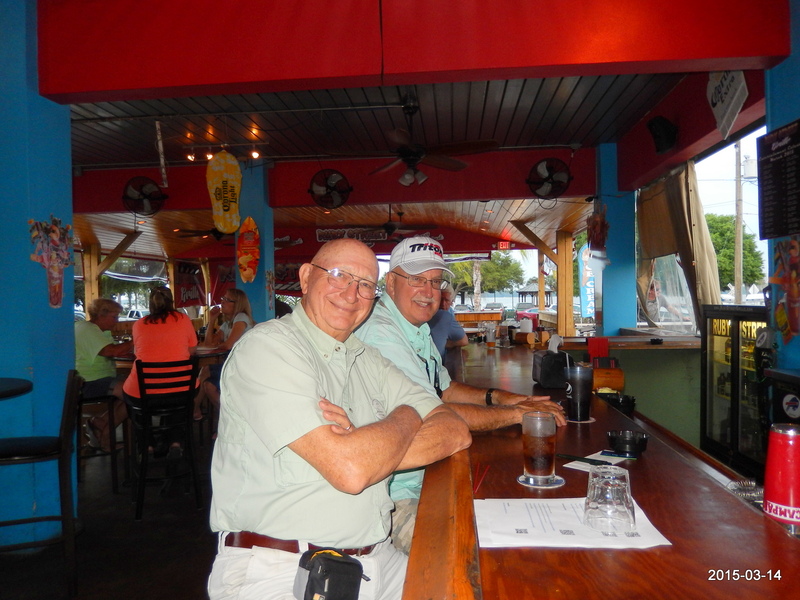 Your web masters hard at work discussing FWC business….sorta! 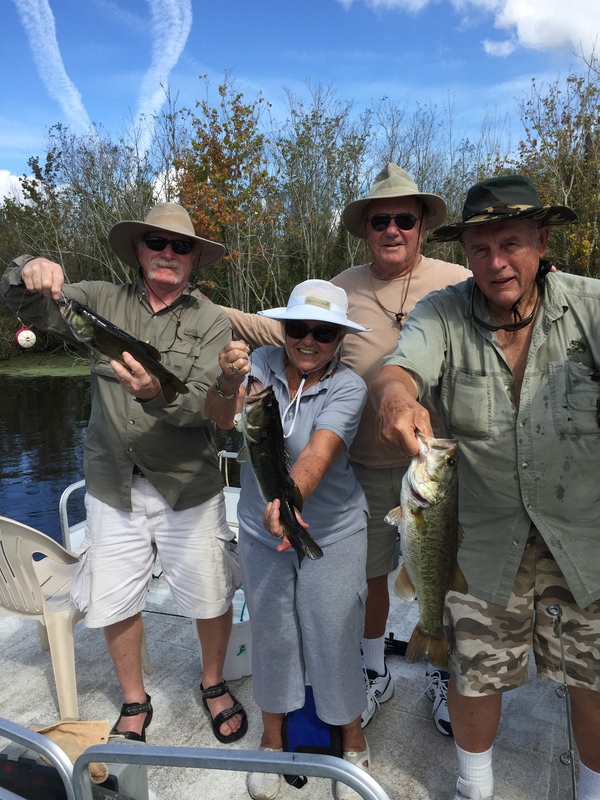 Gloria Lippian fishing with husband Stan shows 2 that she caught while worming Harris. Nice job Gloria. 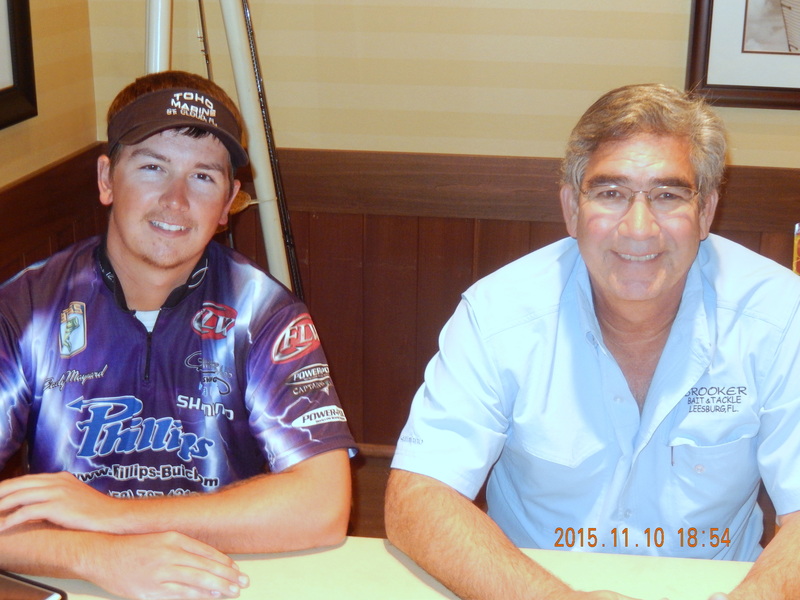 July – I Cast held in Orlando was the place to be to see the latest in the tackle industry & rub elbows with the professionals we all know. Pictured is Paul Elias & uh whats his name on either side of Jessica that’s demonstrating the qualities of Balsax Premium Fishing Line. 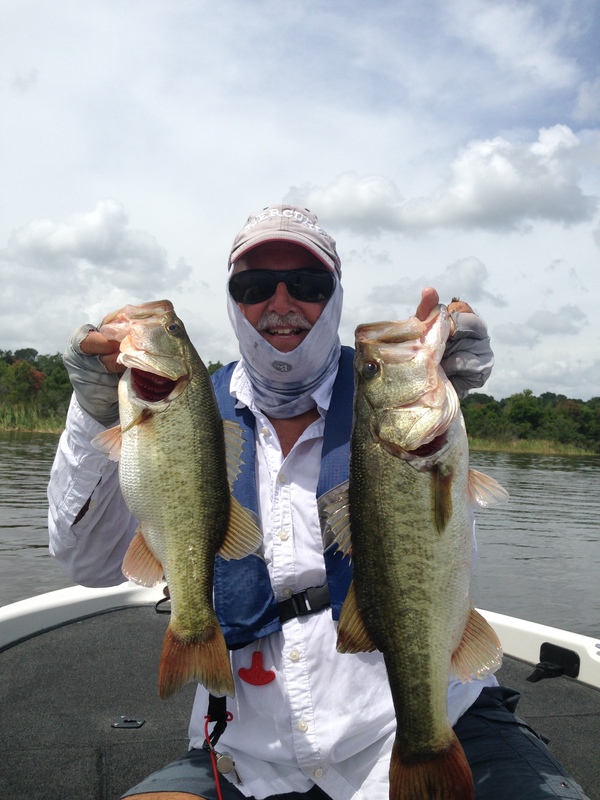 August – Yeah it was hot but these Florida fish love it anyway. 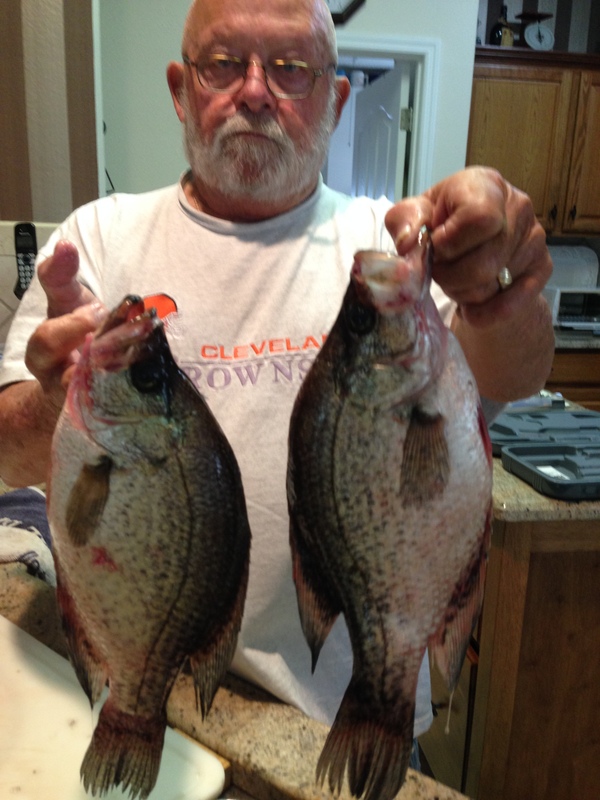 Pictured left are 2 from Lake Griffin that ate lipless lures. 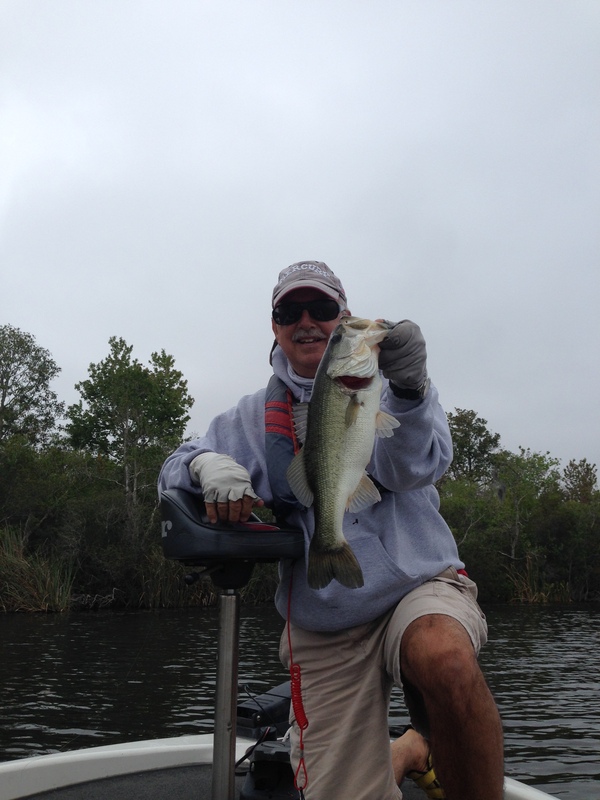 Pictured right is 1 of 25 + we caught at Johns Lake. Nothing big just numbers. 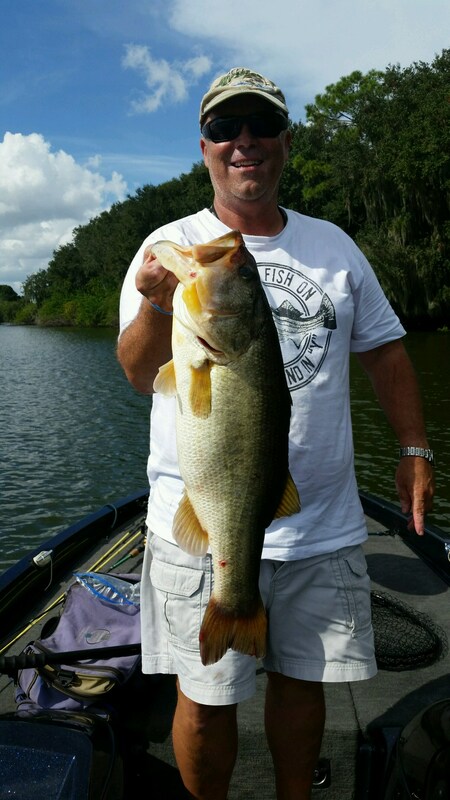 This 3.14 lb bass was caught by VP Randy DiSanto on his favorite bait “swimjig w/houdini trailer”. 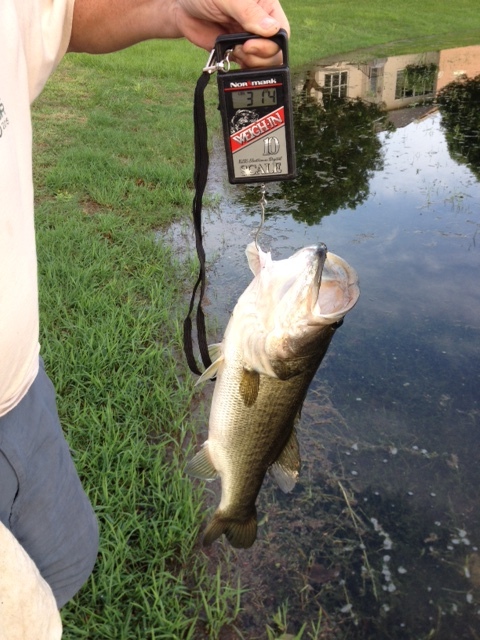 This bass came from a Village Pond. 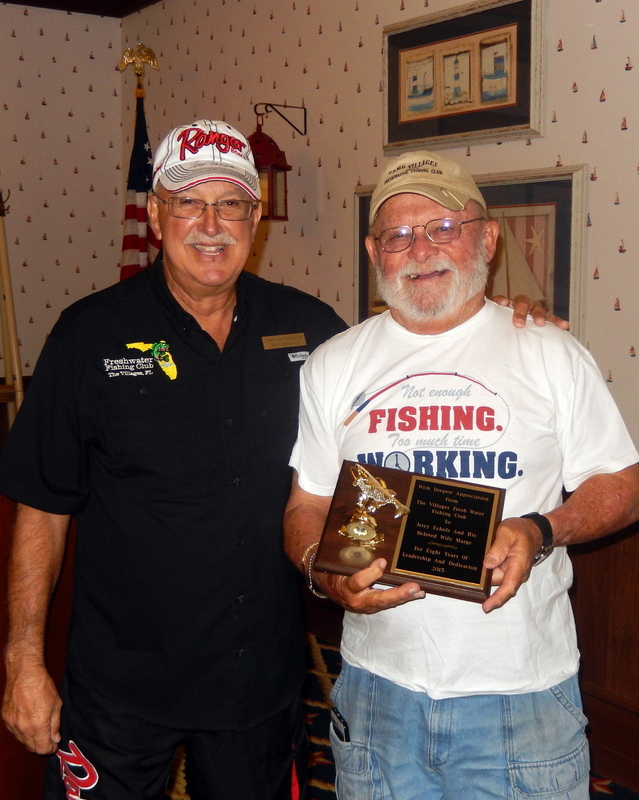 September – New Pres Steve Henderson (L) thanks outgoing Pres Jerry Echols for 8 years of excellent leadership. 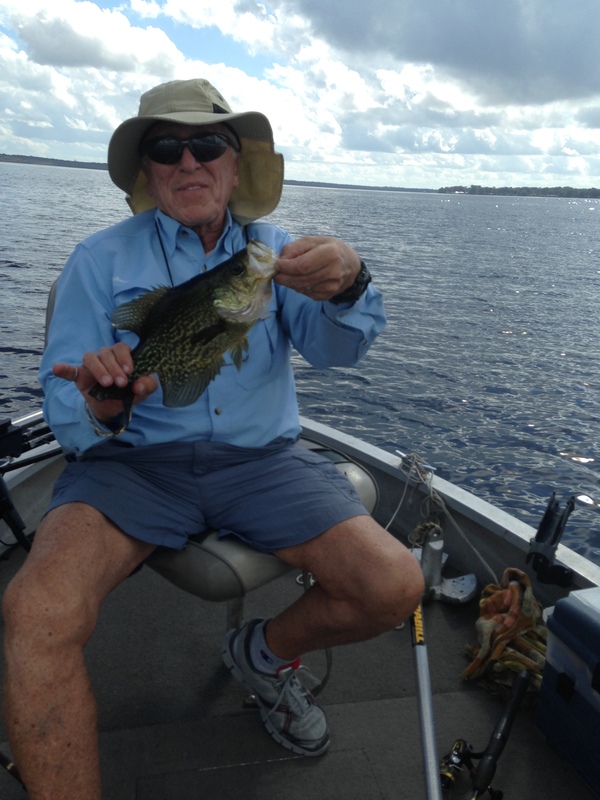 Didn’t take long for Jerry to find the crappies roaming the open waters either. 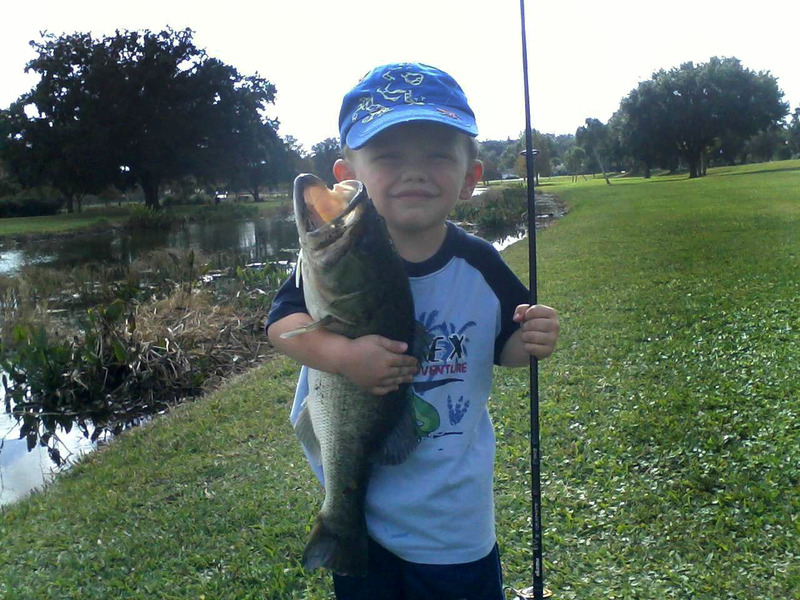 I saw this youngster with his step-dad at Herlong Park boat ramp at Griffin. Master Weylon Padget is a natural. 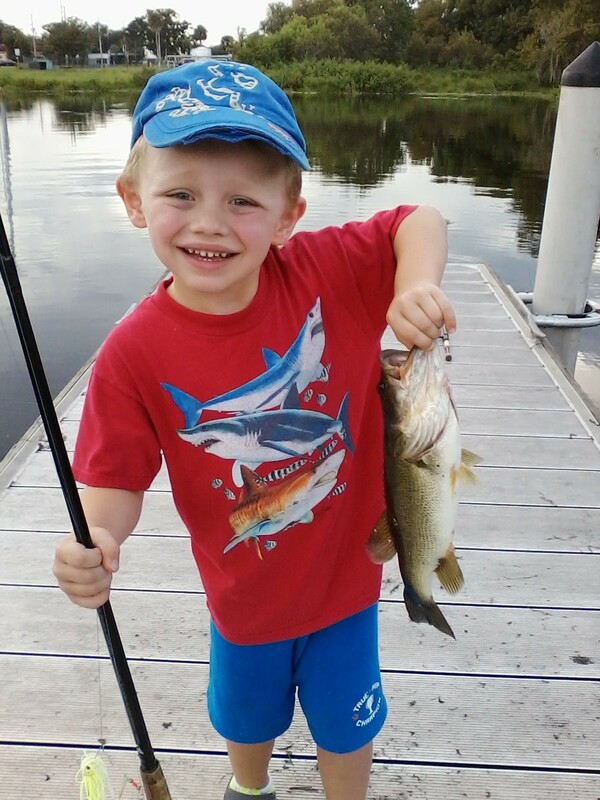 5 y/o using an adult spinning rod slinging a plastic worm. The next KVD! Announcement was made that Okhumpka has been cleaned out compared to what it was. The water is up making the lake navigable for shallow water engines. 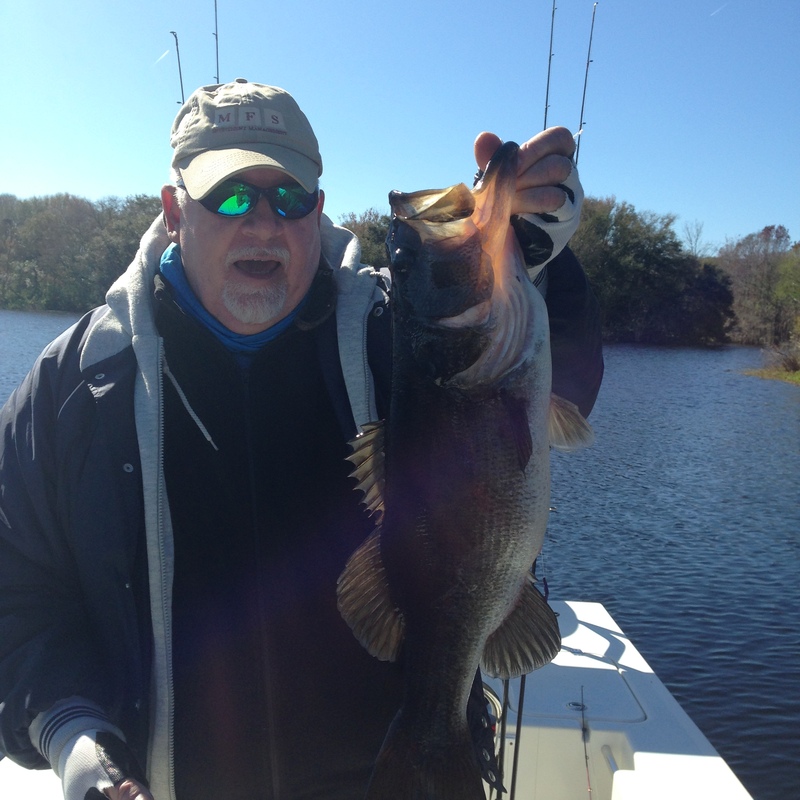 October the FFC went to Lake Panasoffkee. These monthly trips are planned by Steve Felix who is a logistical genius. 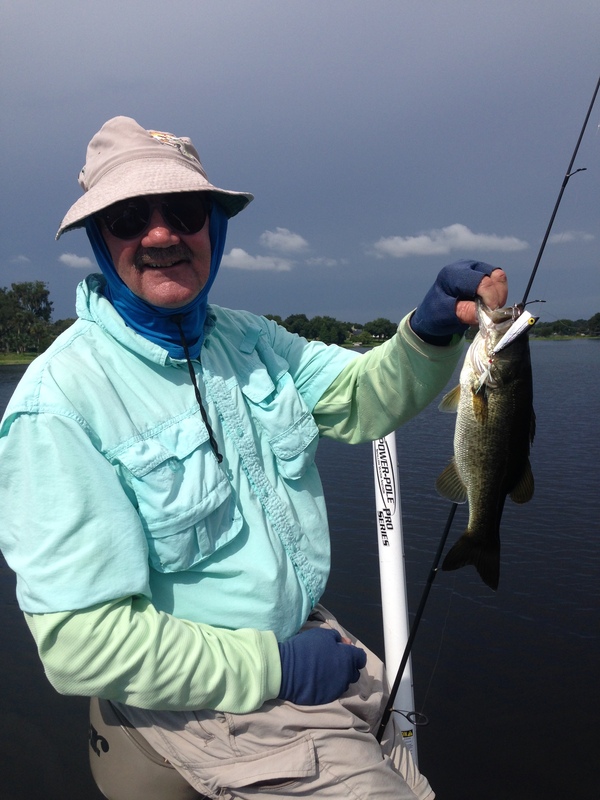 Here Felix shows off a speck he caught at Lake Pan. 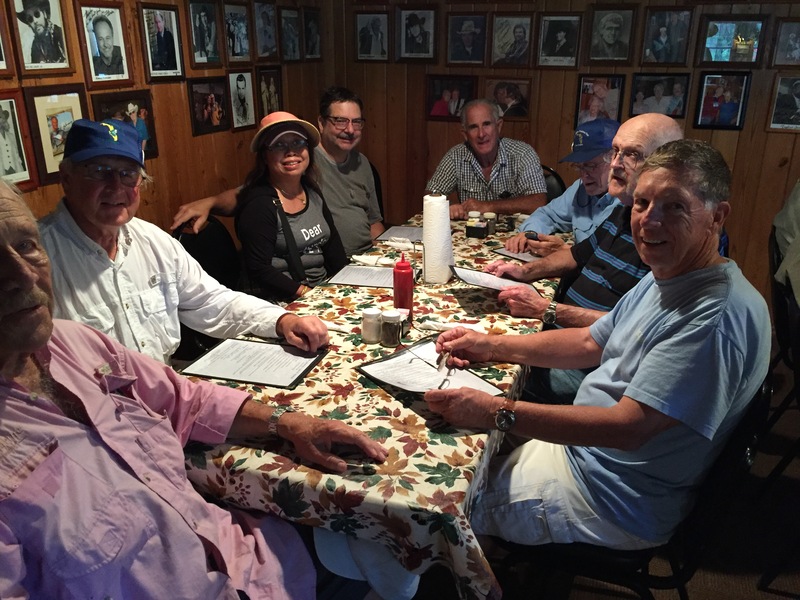 After fishing the gang went to Catfish Johnnies for lunch. 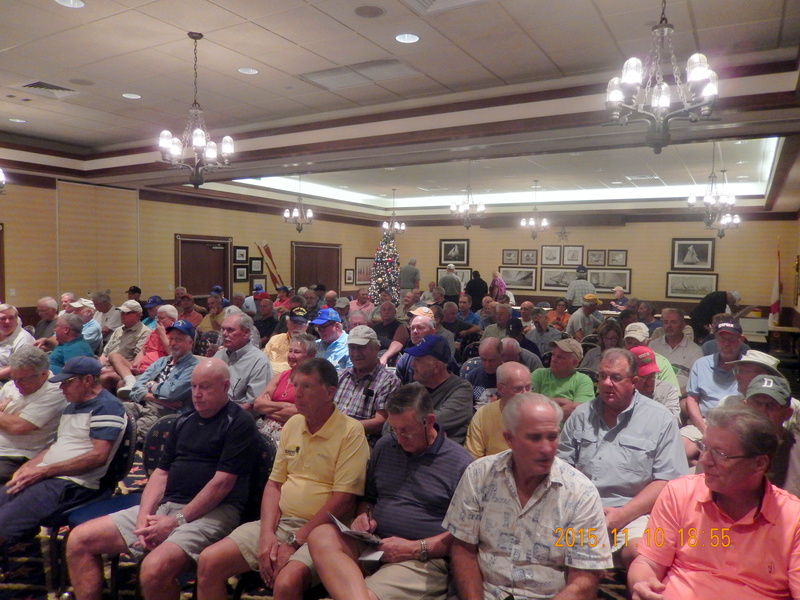 November – Captain Grady Maynard along with Robert Cain inform the FFC membership about the Harris Chain. 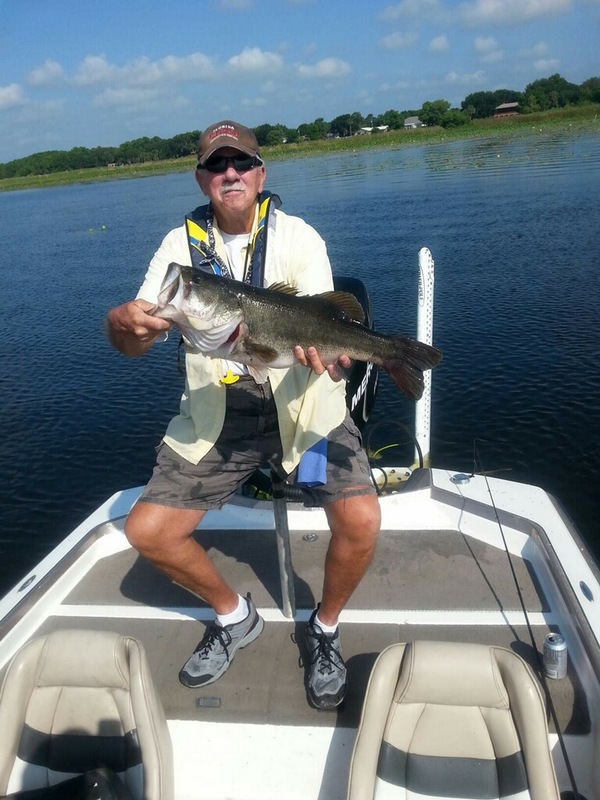 Father & Son tag team regulars Wayne & Jeff Barksdale notified me of a banner day they had near Lakeland. The proof is in the pictures. Yeah…. I said the same thing. WTG guys. 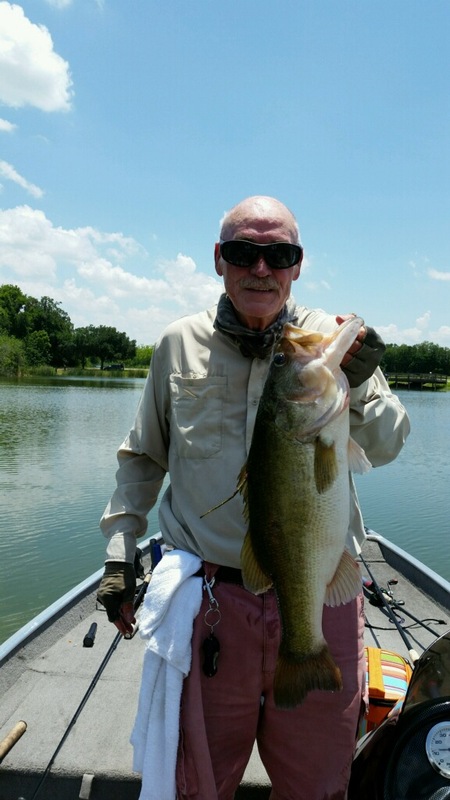 Jerry’s 4.13 lb – He can catch bass. Pay no attention to date . 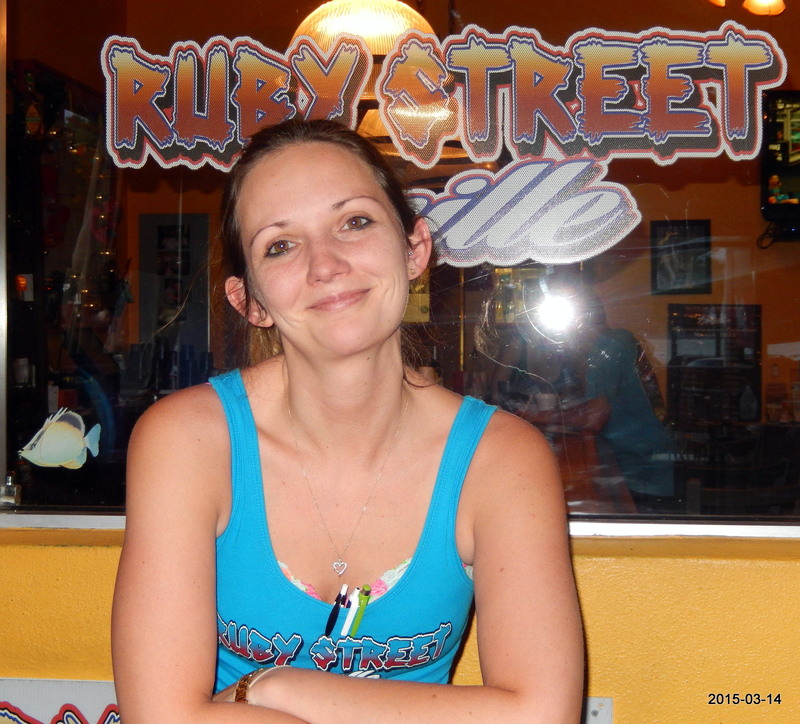 WOW – Where’d the year go? ….Here’s wishing all of you & your loved ones a Merry Christmas and a Happy New Year. May you remain healthy & safe in the coming year. God bless you all & God Bless America.